Prior to the weekend, tracking didn’t have Missing Link faring very well, with projections indicating it would open anywhere from $10 million to $16 million. Unfortunately, the film failed to even reach those modest projections. 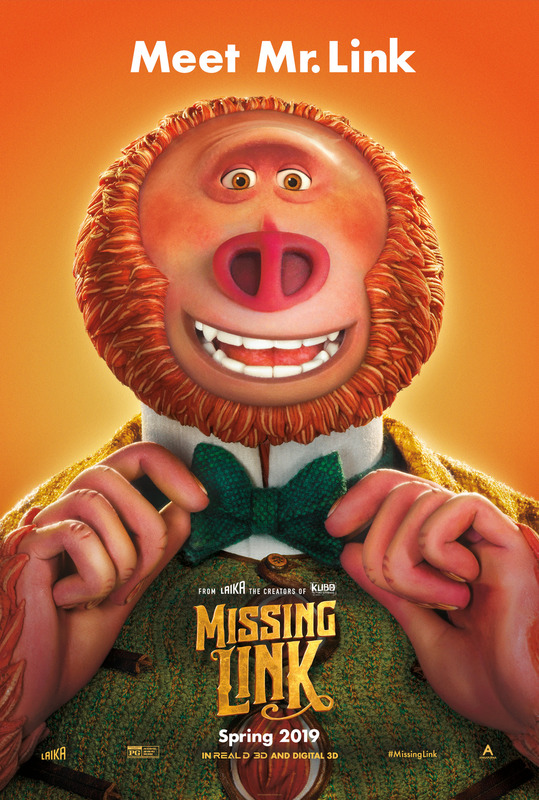 Missing Link’s numbers are very similar to that of Early Man, which opened to $3 million back in February 2018. Ultimately, stop-motion animation can be a tough sell to mainstream audiences, but Missing Link’s incredibly low numbers are still surprising regardless, especially with the fanboy-friendly Laika brand name involved. Of course, Missing Link was facing strong competition for the family market with Shazam!, which lead the box office for the second weekend in a row with $25 million. The superhero comedy continued to benefit from strong word-of-mouth an an appealing marketing campaign, and now has a total of $94 million. As an aside, it didn’t see itself lose much of its business to the R-rated Hellboy reboot, which got sent H-E-double-hockey stick by critics and appeared to be something not many fans were asking for. Elsewhere, Dumbo continued to gradually fly towards the $100 million mark, even though it now seems that its success was largely trunk-ated into its opening weekend, as it hasn’t been particularly leggy. So far Dumbo has a total of $89 million against a reported $170 million, but if Disney can afford to buy Fox for more than $70 billion, they should be able to take a slight loss on a big-earred elephant without too many alarms going off. Dumbo has a global tally of $266 million. This entry was written by kelvin, posted on April 14, 2019 at 10:31 am, filed under Animation. Bookmark the permalink. Follow any comments here with the RSS feed for this post. Trackbacks are closed, but you can post a comment.